At the Library Book Sale, you can take our stuff home with you... and keep it! EPL is constantly adding new materials to our collection, and we put aside any excess materials for our very popular Library Book Sales. The Enterprise Square Library hosts six events a year to give the public the chance to get some great deals on books, movies, music and more. Several times a year we also give you the chance to get these great deals at many of our branches. Tell your friends and don't miss out! Saturday, April 27—9 a.m. to 5 p.m.
Sunday, April 28—1 p.m. to 3 p.m.
All proceeds from the Book2Buy Sales go to our dedicated priority projects, which is currently the Stanley A. Milner Revitalization. All of our Books2Buy Sales are completely volunteer run! Interested in helping out? Take a look at our current volunteer opportunitiesopens a new window. I see that your Book Sales are 100% volunteer run. 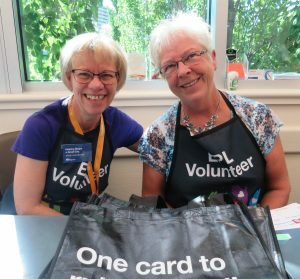 How can I sign up to volunteer for EPL? I have some material I want to donate to Book Sales. Where can I find more information about what you accept? Which Sales are cash only? Do you offer Sunday Box Sales? What are your Sale prices? Where do you get your Sale material from? How do you schedule your Sale dates for the year?